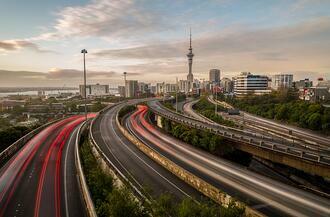 How Can Companies From New Zealand Manage Canadian Payroll? Companies from New Zealand may find that expanding their operations into Canada is a good business move. The two countries share a common language as well as similar consumer income and spending habits, which makes marketing and communication simple. The biggest difficulties lie in managing the legislative and regulatory requirements of a foreign country. Canadian payroll regulations are stringent and complicated, but that doesn't mean you can't overcome the challenges. How can a company from New Zealand manage Canadian payroll regulations? There are two choices: manage payroll yourself or use an Employer of Record (EOR). Let's look at these two options. It's possible for a New Zealand company to manage Canadian payroll regulations without outside assistance, but it's difficult and risky. You'll need to establish a Canadian administrative presence, register with the CRA, and maintain accounts with all necessary governmental authorities. There will be both federal and provincial authorities that you work with. In addition, you'll need to establish and support Canadian banking, financial, and insurance infrastructure for your business. You'll have to make regular filings and remittances to these agencies. On top of all this, you need to keep up with federal and provincial employment and Occupational Health and Safety regulations, which change on a regular basis. While it's possible to manage these items yourself, it can be very time-consuming and stressful, and if you miss remittance deadlines or become neglectful on compliance, your company could face costly fines. For these reasons, many foreign companies prefer to use an Employer of Record. There is an excellent alternative to managing payroll yourself, and that is using an Employer of Record (EOR) to handle Canadian payroll regulations for you. With an Employer of Record, your Canadian employees are seen as employees of your EOR, and all Canadian government remittances are processed by your EOR. Your compliance to payroll regulations is ensured, and your EOR can help you with up-to-date, accurate advice about other matters such as Canadian employment regulations and protocols. This helps you to avoid making costly mistakes. Using an Employer of Record also allows you to focus on the expansion of your company instead of becoming absorbed with the details of a foreign government's payroll regulations. The Payroll Edge provides comprehensive Employer of Record services to companies all over the world including those in New Zealand. 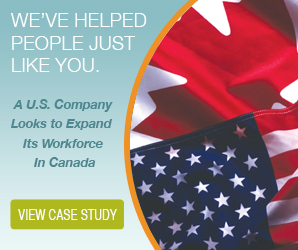 Contact us at The Payroll Edge to learn more about how we can offer you a seamless workforce expansion into Canada. Our expert staff has the experience and the technology to help you to achieve your business goals.